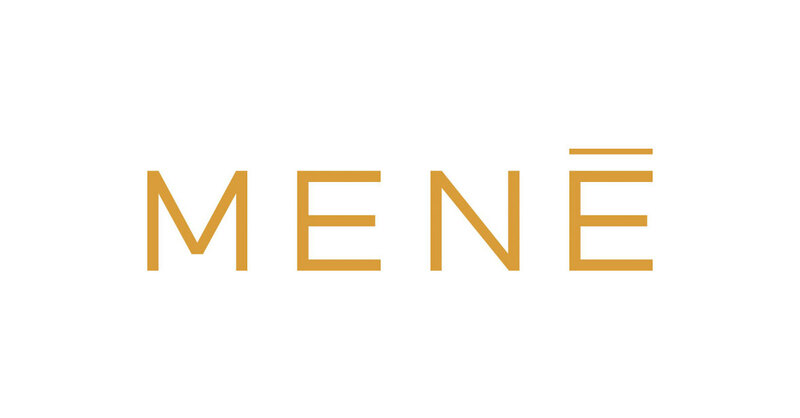 TORONTO — Menē Inc. (TSX-V:MENE) (US: MENEF) (“Menē” or the “Company”), an online 24 karat jewelry brand, today announced the launch of “Menē x”: a new product category of limited edition jewelry collections designed in collaboration with select creators, artists, and tastemakers. The Menē x collections follow the same principles as in-house designs crafted from 24 karat gold and platinum and sold transparently by gram weight. These designs also carry the Menē Lifetime Guarantee. The first Menē x collection, “Menē x I+V”, designed in collaboration with world-renowned fashion photographers Inez Van Lamsweerde and Vinoodh Matadin (“Inez & Vinoodh”), will launch on February 11, 2019. Forthcoming Menē x collaborations will be publicly announced and all collections will be available for sale at mene.com/x. The Menē x I+V collection will include two ring designs, two medallion designs, and one charm design in both 24 karat gold and platinum. The Trinity, the union of our family. The star shaped eye is for our son Charles Star, the nose is shaped like the V in Vinoodh and the mouth is the capital letter I for Inez: togetherness, passion and love in one golden face. A token for all unbreakable bonds. Images of the Menē x I+V Collection can be downloaded here. Since the early 1990s, they have created ground-breaking editorials for such publications as American, French, Japanese and Italian Vogue, V Magazine, Visionaire, The New York Times Magazine, The Gentlewoman, and W Magazine. Their innovative approach is also seen in campaigns and films for fashion houses including Balenciaga, Balmain, Calvin Klein, Chanel, Dior, Gucci, Isabel Marant, Louis Vuitton, Miu Miu, Valentino and Yohji Yamamoto. Inez and Vinoodh are operating in both the art world and the fashion world simultaneously, deciding on the ideal venue for their works to appear based on its content. The works from either territory feed off of each other for inspiration and thus blur the boundaries between fashion and art. They are represented by Gagosian Gallery in New York. Their work has been exhibited in galleries and museums internationally including the Stedelijk Museum in Amsterdam, Van Gogh Museum, Amsterdam, the Hayward Gallery, London, the Deichtor hallen, Hamburg and the Whitney Museum of Contemporary Art in New York. A retrospective show of 25 years of their collaborative work, titled PRETTY MUCH EVERYTHING 1985-2010, began its international tour at the FOAM, Amsterdam in the summer of 2010 and has since traveled to the Pavillion Bienal, Sao Paulo, the Dallas Contemporary, Fotografiska, Stockholm and will open in New York in 2019. A publication with the same title was also launched in the Winter of 2011 with Taschen, as the retrospective continues to travel throughout the United States, Europe and Asia. For more information, visit https://www.inezandvinoodh.com.